IBM is firmly committed to the Open Cloud now in order to pave the way for the enterprise workloads. Another important role it will play is for their conflicting acquisition of SoftLayer. This is conclusive, because of the bare-metal approach of the acquired provider is a logical complement to the IBM Cloud portfolio and in the line with our previous thought – Why IBM Cloud is a Complete Failure. IBM has a long history with open-source. The attractiveness of Linux has driven the IT of the company. So it is hardly surprising that this strategy is also transmitted to the cloud. Having already with Todd Moore, IBM Cloud now is in a strategically important position with OpenStack Foundation, IBM is also one of the founders of the Cloud Foundry ( PaaS ) which brings other like EMC, Hewlett-Packard, Rackspace, SAP and VMware closer. The exposure to two of the major open cloud communities shows the importance of open source thought for IBM Cloud and it is also reflected in their architectural concepts. IBM understanding the topic of open source very clearly as a means to an end, to offer their own commercial products on this basis. OpenStack serves as the infrastructure basis for many existing products and solutions, and will be rolled out in the future as a primary basis under the entire IBM cloud portfolio. For IBM, it is important to take an active essential influence on the direction part of OpenStack. To end this conclusion – the company is now also actively involved in the development of the open source project. IBM is targeted to open-source software like OpenStack and Cloud Foundry to place commercial offers on the market. 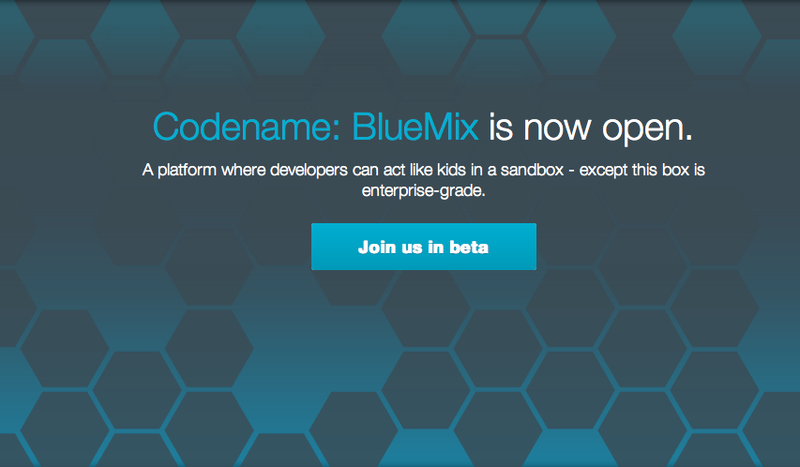 Under the code name BlueMix, IBM has officially announced the beta status of its own platform-as-a-Service (PaaS) [it is open to join now]. BlueMix is a central component of their cloud strategy and is based on Cloud Foundry. According to official source, both solutions are comparable with each other. BlueMix is ? ?designed as an open Polyglot PaaS and currently supports the programming languages like ? ?Java, Node.js and Ruby. In addition to integration and mobile services as well as DevOps for Continuous Integration, BlueMix Catalogue provides additional services that can be used for developing own applications on BlueMix. This includes cloud code, data cache, ElasticMQ, JazzHub, MongoDB, MySQL and RabbitMQ. The idea IBM exploited is great – all tutorial websites automatically will provide guides and hacks which will indirectly promote the company without paying anything extra. SoftLayer clients,in addition to virtual servers, can hire the so-called bare metal server (dedicated physical hosts). A variant of the model IBM marketed prominently during the pulses in 2014 with many lectures and performance tests shoots against rivals such as Amazon Web Services, known only to offer only a virtual infrastructure. According to SoftLayer the bare metal and the virtual server are using the same API, the same portal and private internal management system is provisioned. SoftLayer itself supports OpenStack as an installation on bare metal servers. This means that the technological infrastructure has not been replaced below by SoftLayer OpenStack. This Article Has Been Shared 8242 Times! Cite this article as: Abhishek Ghosh, "IBM Cloud : New Move Towards Open Source," in The Customize Windows, March 10, 2014, April 26, 2019, https://thecustomizewindows.com/2014/03/ibm-cloud-new-move-towards-open-source/.